The stories in these two books are definitely as intense as the first 7 volumes written by Vaughan. But they are still fun to read. Joss Whedon writes a script that takes us back to the turn of the last century in New York. Steampunk clothes, social issues of the day, and fighting other teams of super-powered folk. Fun.Library copy. 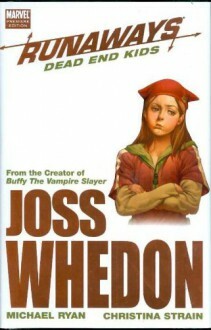 For no real reason, I blame Joss Whedon for my liking this book the least so far.Sorry, Joss.